Did you know that cats can suffer from anxiety the same as people and dogs? Behaviors that you may see as just normal cat behavior can actually be symptoms of anxiety. Are there ways to help cats deal with anxiety? 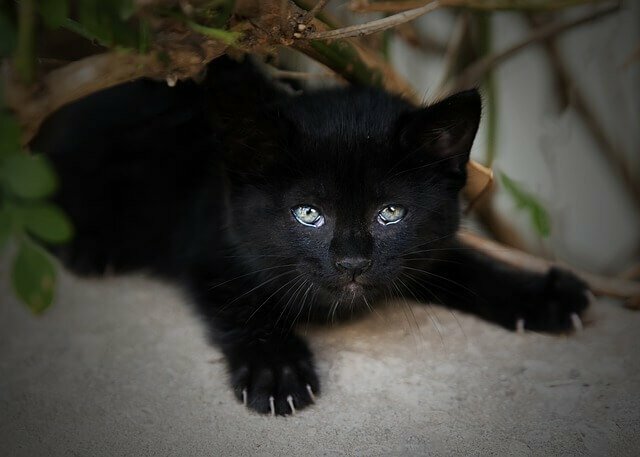 Can CBD help cats deal with anxiety? How does it work? We know you have questions and we aim to provide answers. 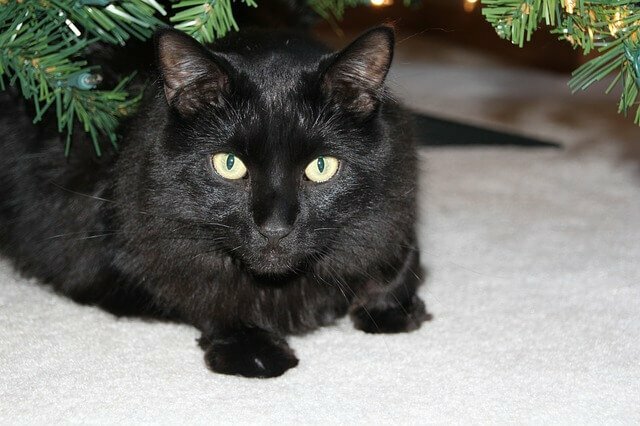 -Create a more stimulating environment for your cat by adding things like cat trees to climb, boxes to play in, and a perch by the window to keep your cat more active and engaged. -Consider adding another cat to your household. CBD is short for cannabidiol, an active compound found in cannabis plants. There are more than 100 different compounds found in cannabis plants. You’re probably more familiar with tetrahydrocannabinol, which is better known as THC and is the compound that causes the high people get when using marijuana. One thing you may not realize is that there are different types of cannabis plants. Marijuana is one type of cannabis plant that has been bred to have high levels of THC and low levels of CBD. Hemp, on the other hand, contains high levels of CBD and low levels of THC. Therefore, CBD oil made from hemp contains very little THC and may have beneficial properties without causing a high. Ideally, a CBD Oil will have zero THC, but very few products achieve this, unlike our CBD Oil, which has 0% THC. 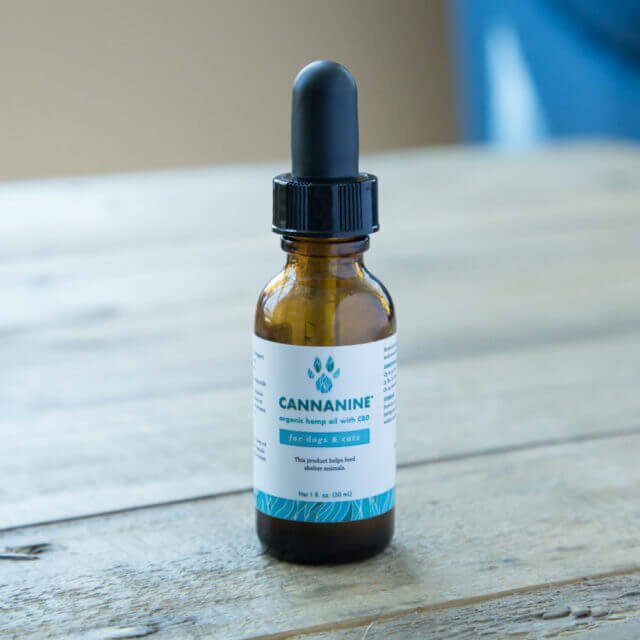 Humans and cats alike have an endocannabinoid system, which works to regulate many different functions, such as pain, mood, sleep, appetite, and immunity. CBD helps supplement the endocannabinoid system, which is why CBD is thought to have so many benefits. CBD may help supplement the endocannabinoid system similar to how a vitamin C supplement can help boost your immune system. CBD is thought to alter serotonin signals. Seratonin is a hormone that regulates your mood. Many antidepressants for people affect how the brain reacts to serotonin, improving their symptoms. CBD is thought to work similarly to help the brain react to serotonin, making your kitty feel better and more relaxed. Cannanine™ Organic Hemp Oil offers unparalleled botanical support for the endocannabinoid system. Made from organically-grown Colorado hemp, it’s legal in all 50 states, non-GMO, and made from human-grade ingredients. It can help promote calm in anxious cats with just a few drops added to their food.